This wire box measures 11.5" wide, 7.5" deep, 5" tall. The dimensions are outside measurements. It is made of wire mesh and available in the Metallic Finishes. 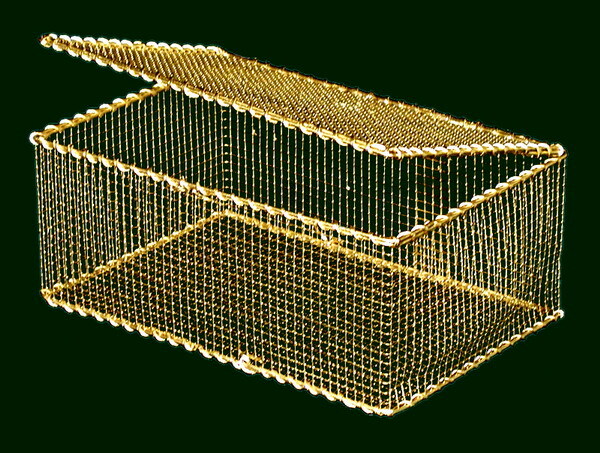 The sample basket is finished in Gold.